This house was moved to make way for the building of a medical clinic. This is a front view of the house passing the Bell Telephone exchange building at 224 Brock Street South. 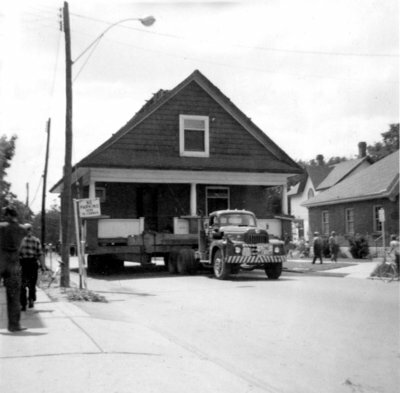 625 Brock Street South, July 6, 1960, Photographer Unknown. Whitby Archives 17-075-003.